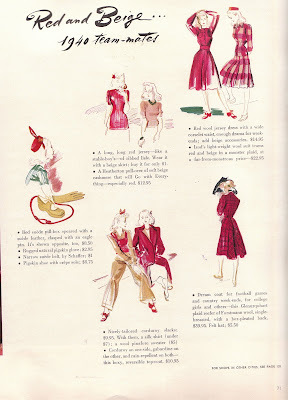 Some more color inspiration from my 1940 Vogue magazine... this time about pairing beige and red together. I must admit that I usually don't like a very pale color with a bright color (I usually like dark colors with bright colors). What do you think? I like the red/bone combination! It is very summery looking. 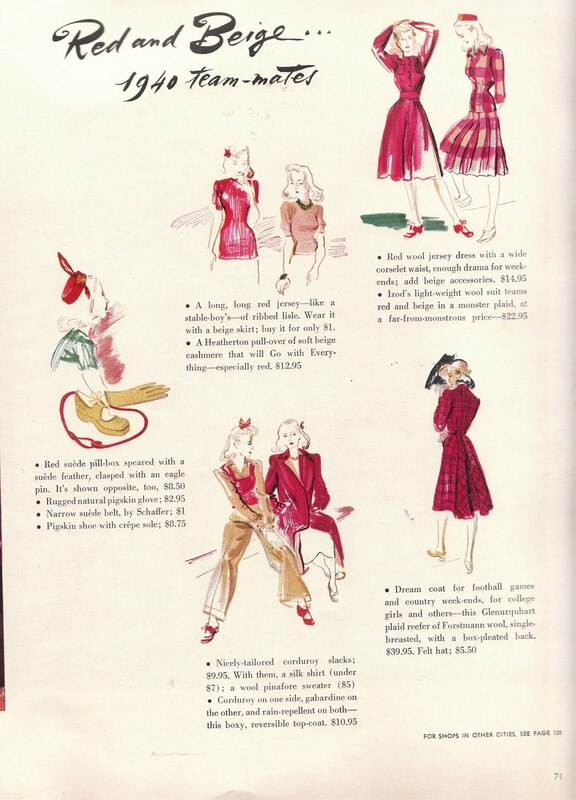 I love the red - it would look fabulous on you. I like reds with caramels, too. I like the combination, but it's totally ruined for me by the Target dress code! Those ladies sure are dressed well for a day of retail! 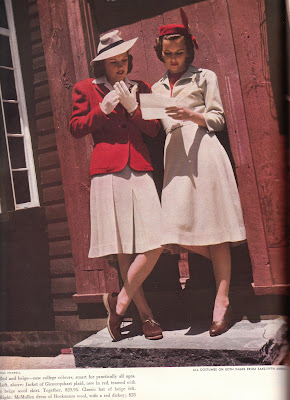 Red is one of my favourite colours, and i don't normally like beige, but i love the combination of the two! I think it would be striking on you. Give it a try. Unusual, yet lovely combination. I think you should go for it! I'm loving the woman on the right, with a splash of red. Go for it! I love that two colours! I think the beige "soft" red, nice combination.